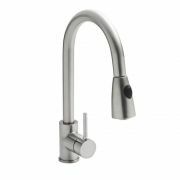 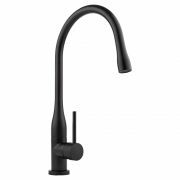 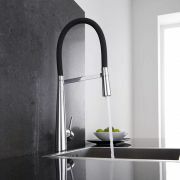 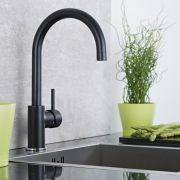 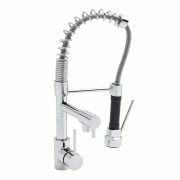 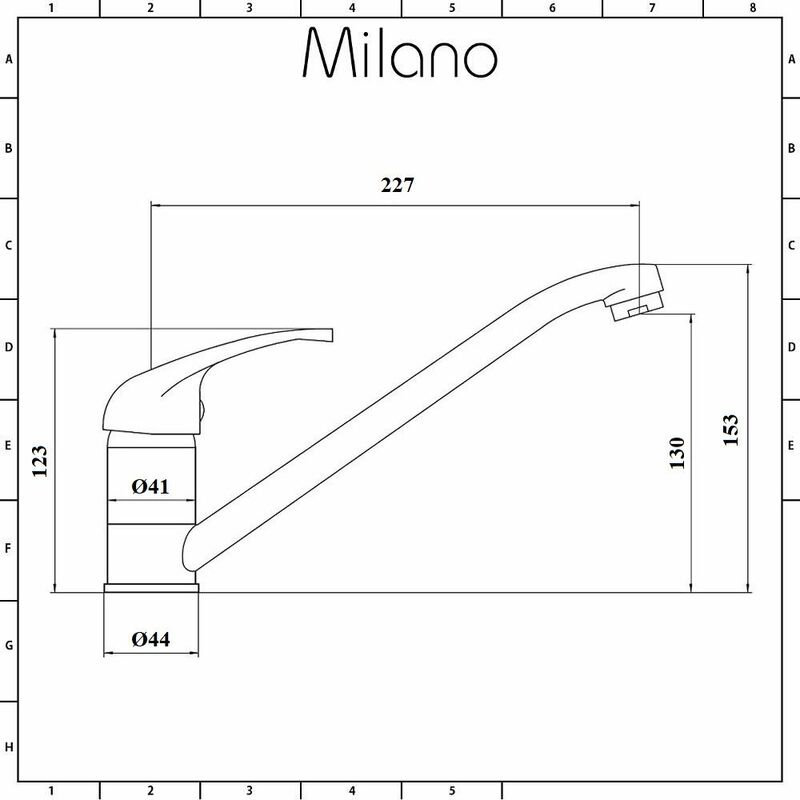 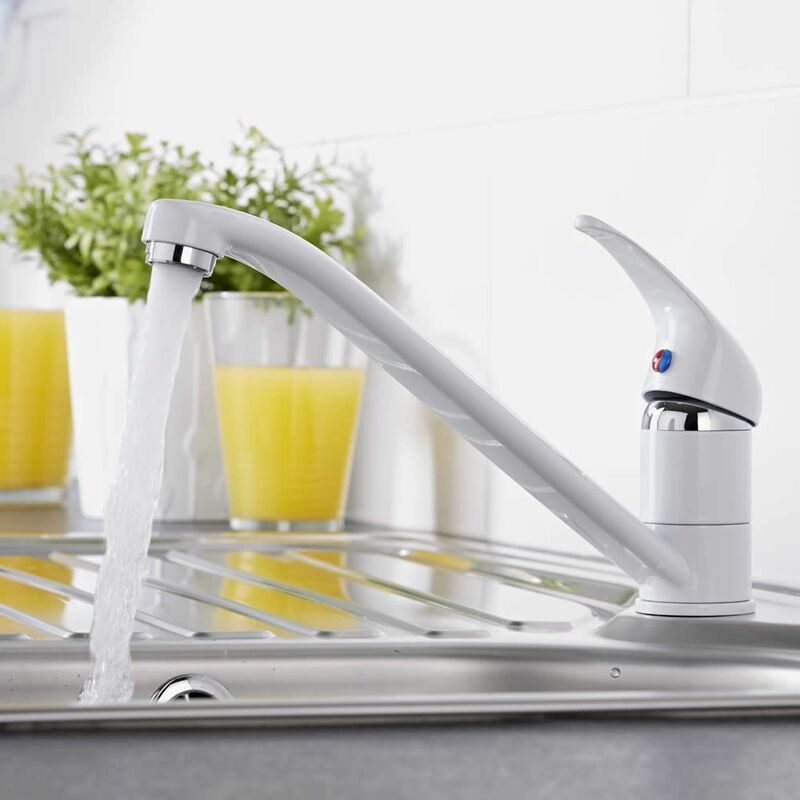 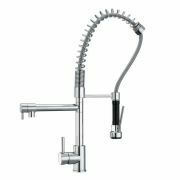 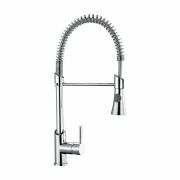 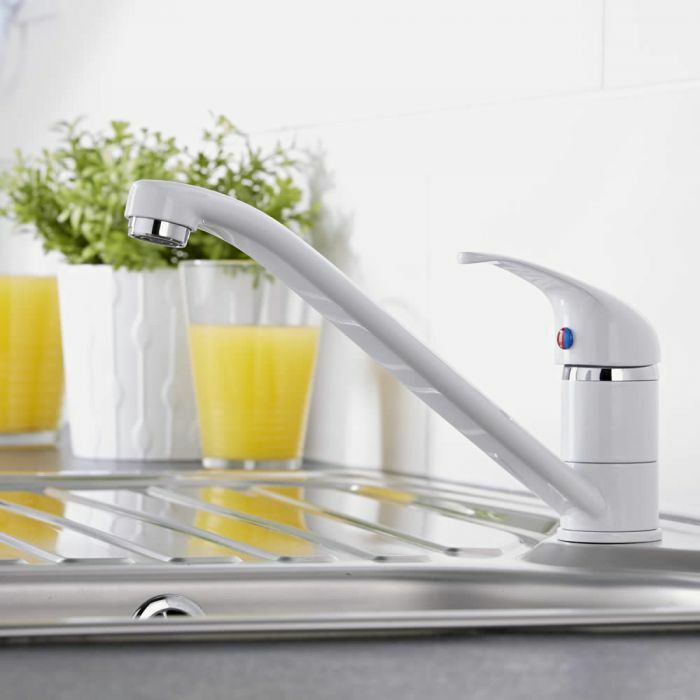 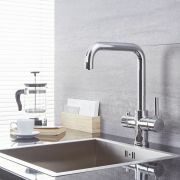 The Milano single lever kitchen sink mixer tap with swivel spout is sure to enhance any modern kitchen. 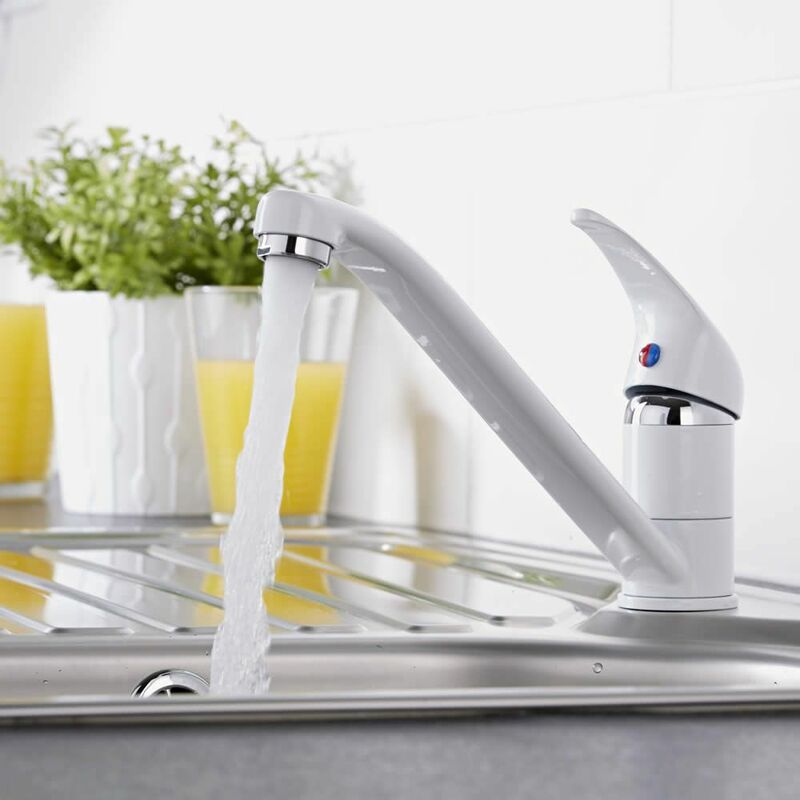 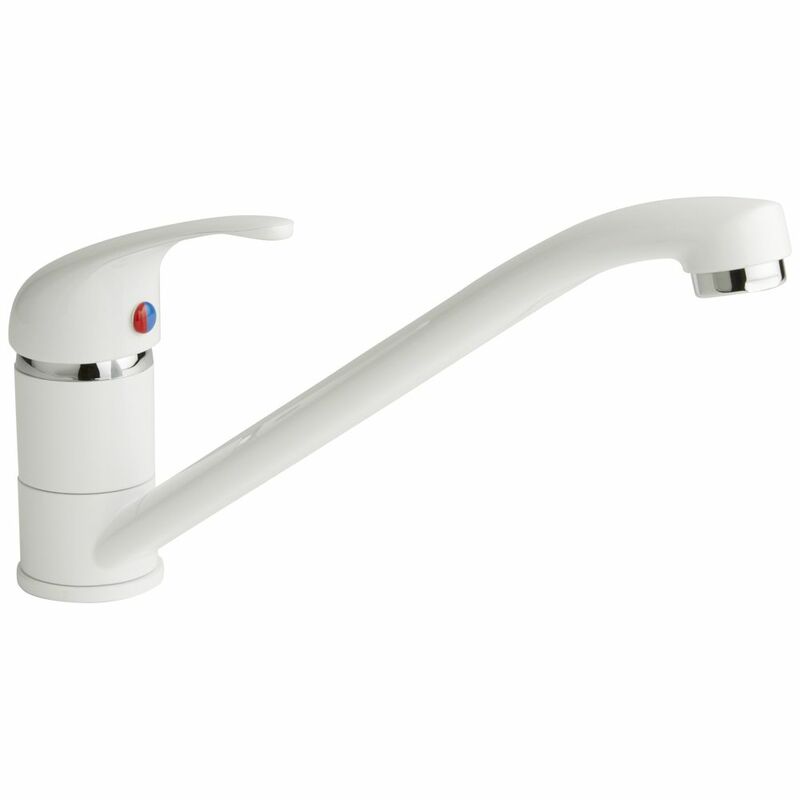 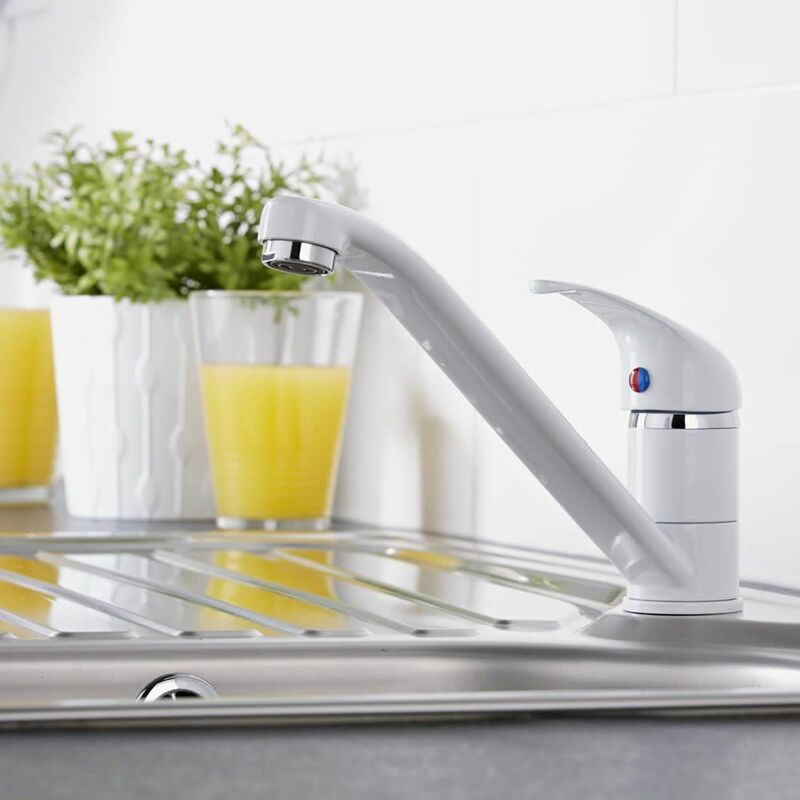 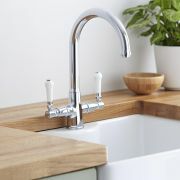 Featuring a white finish and an easy to use lever handle that controls the flow and temperature of the water, this kitchen sink tap has been made from solid brass so you can be assured of quality and durability. 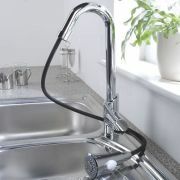 It has a swivel spout for easier rinsing.